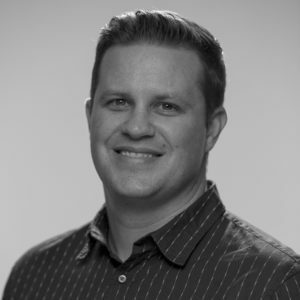 Scott Anderson is a Chief Customer Officer at SyncThink and Advisor for CrashCourse at TeachAids. Before joining SyncThink in 2017, Anderson spent 10 years with Stanford University as the lead Director of Athletic Training. During his tenure, Anderson worked diligently to build and grow the infrastructure of the sports medicine program. As former chair of the Pac-12 Sports Medicine committee, he has been influential in conference wide research focused on improving student-athlete health and wellness. He is also an internationally recognized speaker and holds a number of designations including a certification from the National Athletic Trainers’ Association. He is an approved clinical instructor (ACI), and maintains certifications in the functional movement screen (FMS), selective functional movement assessment (SFMA) and Dynamic Neuromuscular Stabilization (DNS). He is a Strategy and Partnerships Advisor to TeachAids. CrashCourse is a newly launched concussion education program. https://teachaids.org/for-concussions/crashcourse/. It was developed by some of the top concussion researchers from all over the world and has top advisors including Scott. 1 in 5 high school athletes will get a concussion. More than 2.5 million young people suffer a concussion in the United States each year. With proper care, most concussions can heal within 10 days, but the overwhelming majority of students, parents, and coaches are unaware of the latest science about prevention and treatment of concussions. If not treated properly, a concussion may have lasting physical, emotional, and cognitive effects. 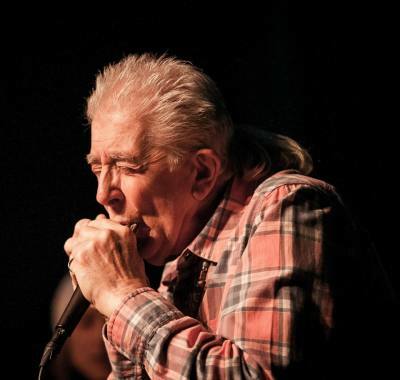 For over 50 years, John Mayall has served as a pioneer of blues music, rightly earning him the title, "The Godfather of British Blues". In 2013, John signed with producer Eric Corne's label, Forty Below Records, and has since been experiencing a true artistic and career renaissance, including a Blues Hall of Fame induction in 2015. As with his last handful of albums, Mayall again shares production duties with Forty Below Founder Eric Corne who also handles engineering and mixing duties. The album boasts an impressive and diverse list of guest guitarists, all personal favorites of Mayall’s including Todd Rundgren, Little Steven Van Zandt of The E Street Band, Alex Lifeson from Rush, Joe Bonamassa, Larry McCray and Carolyn Wonderland who will be joining the band on tour. Also, on hand are Mayall’s dynamic Chicago rhythm section of Greg Rzab on bass guitar and Jay Davenport on drums, along with Billy Watts (Lucinda Williams) on rhythm guitar and Mayall’s regular horn section, moonlighting from their day job in The Late Show with Conan O’Brien’s house band. The album was recorded at The Foo Fighters’ Studio 606 on the same legendary Sound City Neve console his one-time protégés from Fleetwood Mac used to record parts of the best-selling Rumors album. “This project has been a true labor of love for me and I can’t wait for people to hear the fireworks that took place,” beams Mayall. Nobody Told Meis an apt title for the blues icon who suffered a recent unexpected health scare shortly after recording the album. But, the seemingly ageless road dog, who famously takes no days off and carries his own gear on tour, has been given a clean bill of health and plans to return to his usual grueling touring schedule to support the release. 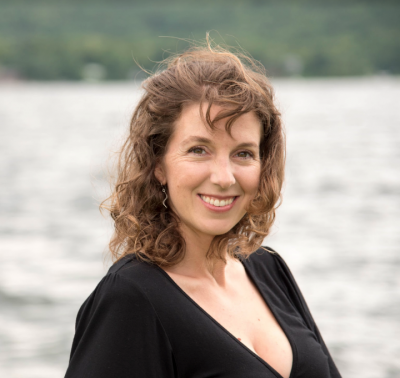 Dr. Ellie Drake is an expert in teaching 'Ease of Purpose' from a physiological, emotional and entrepreneurial perspective. As a doctor, visionary and prosperity creator, she is passionate about applying her expanding insight to living in her potential. Ellie Drake is also the founder and visionary behind BraveHeartWomen.com, the fastest-growing, global online community for Entrepreneurial Women. As a highly-magnetic speaker, doctor and successful entrepreneur, Ellie empowers women to take important steps toward achieving prosperity. At age 17, Ellie arrived in America as an immigrant from her native Iran where she recalls huddling in bomb shelters during the Iran-Iraq war. She held on to the inspiration that is the American dream and has since become living proof of its power. 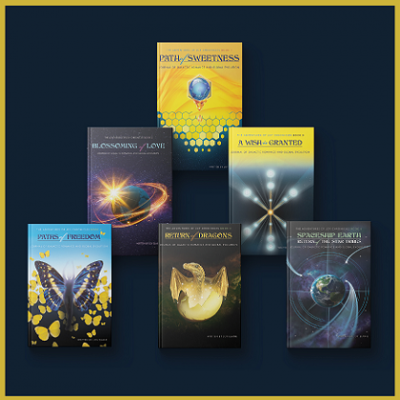 My three decades of study in different forms of energy work—Reiki, past life regression, Akashic record reading, shamanism, angelic healing and SVH (Serenity Vibration Healing)—have given me the background as well as the tools and techniques to be able to bring forth the information in The Joy Chronicles. 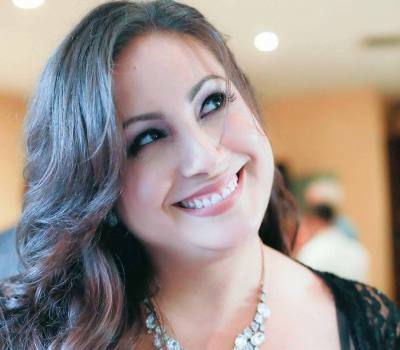 Michelle Belanger is most widely recognized for her work on television's Paranormal State, where she explored abandoned prisons and haunted houses while blindfolded and in high heels. A leading authority on psychic and supernatural topics, her non-fiction research in books like "The Dictionary of Demons" and "The Psychic Vampire Codex" has been sourced in television shows, university courses, and numerous publications around the world. She has worked as a media liaison for fringe communities, lectured on vampires at colleges around North America, performed with gothic and metal bands, including Nox Arcana, and designed immersive live actions RPGs for companies such as Wizards of the Coast. Her research on the Watcher Angels led to the creation of a Tarot Deck and the album Blood of Angels. She has appeared on CNN, A&E, Fox News, Reelz, and the History Channel. Michelle resides near Cleveland, Ohio with three cats, a few friendly spirits, and a library of more than five thousand books. Heather has been designing for over 10 years. She practices the healing arts which helps her in her designs of websites for her clients. Her passion is creating and making things look great and function properly. 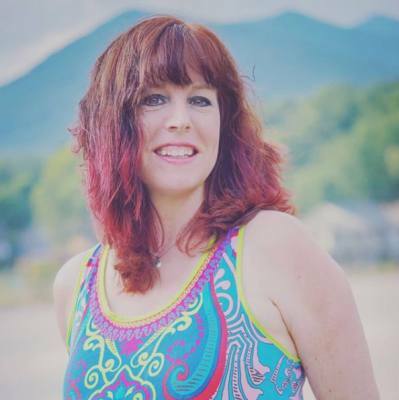 She works with all different clients from mediums, healers, entrepreneurial and more! Heather is a SME when it comes to WordPress and can help with any designs for your website. Jo Ann Richards is Executive Director of the educational non-profit, Earth Defense Headquarters (www.edhca.org). Her husband, Mark Richards, and his father, Ellis Loyd Richards, were involved with top-level military intelligence operations since World War II, many including on-world and off-world contact and battles with various alien species. 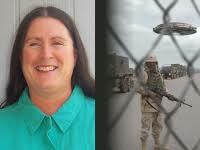 Jo Ann speaks about her knowledge of military operations and secret meetings that both these men were involved with. She shares information about numerous alien species, the secret space fleet, and battles with aliens on- and off-world. Jo Ann has an incredible story to tell about human-ET contact! 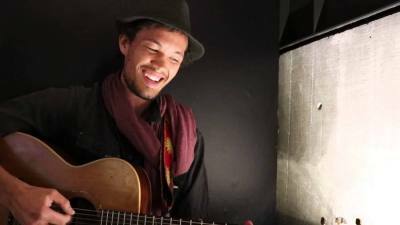 Ricardo Baptista was born into a musical family and has spent his life carrying on the family tradition in recording studios and on stages around the world. Born in Brazil to David and Beatriz Baptista, the biggest Gospel/Rock artists in Brazil throughout the 1960s and early-1970s, Ricardo and his brothers and sisters joined the family act and performed all over the country. By the time the family left to go to America, their farewell party had to be held at a stadium to accommodate all the fans and well-wishers. In the United States, the Baptista family performed in churches all around the country, slowly expanding out from the expatriate Brazilian community and capturing a multi-cultural fan base. 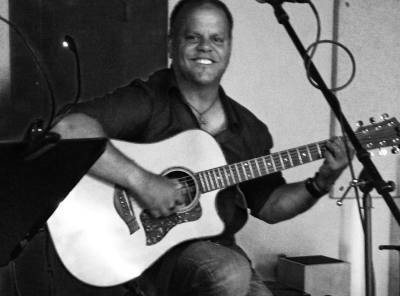 As Ricardo grew into adulthood he began to pursue others styles of music outside the gospel genre, primarily Country music and traditional Brazilian Bossa-Nova. A talented guitarist, bassist, vocalist and songwriter, Ricardo has written and recorded numerous songs in multiple genres. His first original solo project, “Transformou”, was released in 2008 and showed his penchant for Brazilian rhythms and melodies. In 2013 he released a self-titled EP of original Country songs. As a musician, Ricardo has performed with artists as diverse as gospel/blues artist Darrell Mansfield, jazz musician Tony Guerrero, rock guitarist Mick Taras, drummers Tom Dante and Evan Stone and many others. As a songwriter, Ricardo scored a major release with his song, “Thank You For Your Love” when it was recorded by The Heritage Singers for their “Tribute To Brazil” CD. Ricardo is currently writing and in the middle of producing his next solo EP, to be released soon. I’m a born and bred New Yorker, world traveler and Nature lover. I’m passionate about empowering people just like you to feel incredible and live a life you love! Life is a grand adventure, especially when we live guided by our heart–I know this firsthand. The beautiful thing about life is that we can be ANYTHING we wish to be and create ANY life we desire. My journey in the healing arts began as a medical doctor. Degrees in Psychology, Nutrition, Chemistry and Medicine established my understanding of the human body and psyche, disease, health, life and death. By the time I was 25, I touched every continent except Antarctica. I worked with various healers, shamans and medicine people around the globe experiencing and learning about all kinds of healing modalities. Sometimes I found myself in pretty crazy situations, but the stories are well worth it! During this time my abilities as a natural born healer awakened. I discovered I trace back three generations to a lineage of healers from a native tribe in Colombia. My time spent in foreign lands helped me understand that happiness means different things to different people. Ultimately it’s about discovering what happiness means to YOU and living authentically from this place. My work shows you how! Based in Los Angeles I teach weekly classes and monthly workshops at Unplug Meditation in Santa Monica and at Ceremony Meditation in Venice. I also work one on one with people both in-person and online for coaching, mentoring and healing. My work is about healing AND optimizing the mind, body and spirit. Author of Raw Naked Truths–an inspirational E-book of wisdom for life. My purpose is to help people like you optimize your mind, body and spirit so you feel GREAT and live the life you desire. I guide you in finding your happiness now and empower you to live a life you love because you deserve it! I love working one on one with people like you via online and in person sessions, as well as teaching and guiding groups around the world via my classes, workshops and retreats. Connie Costa is a Transformational Coach, International Speaker, Published Writer & Entrepreneur. She graduated from Antioch University with a Master’s degree in Clinical Psychology with an Applied Community Psychology Specialization. Connie was personally mentored and coached by legendary life-coach, inspirational speaker and best-selling author, Alan Cohen. She received her coaching certificate from the Foundation for Holistic Life Coaching. Her clients are mostly women, LGBT, and celebrities. 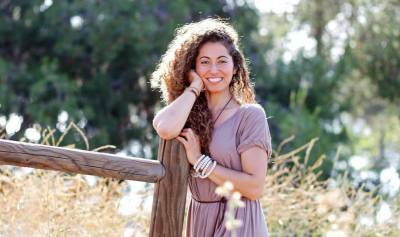 She produces inspirational/networking/foodie events and leads workshops and retreats in Beverly Hills, Ojai & Italy. She is the author of, “I Give Myself Butterflies”, coming out in 2019. Join her on her next Exclusive & Unique Food Tour in Italy. Through her own intense personal trials and working closely with clients, Ani has developed systemized ways of teaching people how to identify and eliminate dysfunctional relationship patterns. Her clients are soulful women who know they were meant for more love in their relationships and careers, but have been unable to access it. Ani lives in a log cabin in the woods, nestled between the foothills of the Adirondack mountains and Lake Champlain. She, her husband, and their blended family can often be found swimming in the lake, skiing, playing a board game, enjoying the amazing local food, or riding the ferry boat back and forth to school. Known as Mr. 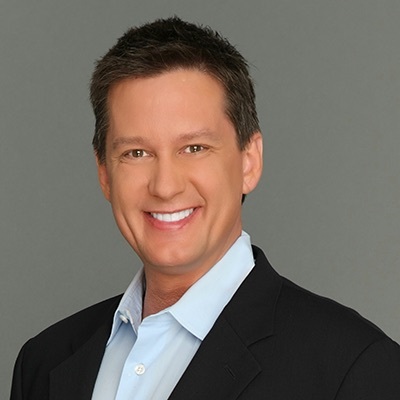 Blueprint, Richard Krawczyk is a serial entrepreneur, digital marketing consultant, business strategist, social media influencer, former TV host, author, public speaker, and investor. He is the Co-Founder and CEO of the tech startup Zenith Data and CEO of the digital marketing agency Blueprint Digital Media. As one of the Top 1% of social media influencers globally, Richard assisted the world-class social media team on behalf of Access Hollywood and the Vanity Fair Social Club in covering the 2015 Golden Globe Awards and the 2015 and 2016 Academy Awards. His timeline deliveries on Twitter exceeded 1.4 BILLION during Oscars Week, which included the 2016 Academy Awards. During that week, his reach was the equivalent of 10 Super Bowl ads – at a time when each Super Bowl ad ran $5.5 million dollars for each spot. He also co-starred in a follow-up movie to The Secret called Pass It On. Richard is an avid supporter of youth activities, such as drum & bugle corps, where he was fortunate to perform in The Cavaliers from Rosemont, IL in 1984 and 1985, where he honed his disciplined lifestyle. He is also a die-hard Chicago Cubs and Chicago Bears fan. Frank is a New Jersey residence and has been attracted to the paranormal since a young age. His first opportunity to begin investigating the paranormal was under the guidance of Nancy Tursi and the now defunct Double Visions Paranormal Group located out of Palmyra, NJ. 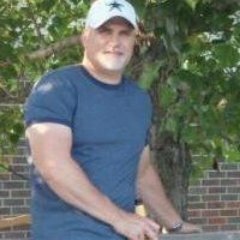 Dedicated and desiring to learn more, in early 2009 Frank founded and currently is the director of NJROPE, which operates throughout New Jersey, Eastern Pennsylvania, and Delaware. NJROPE currently consists of approximately 30 members, all of whom share his desire to learn about the paranormal world, but more importantly to assist people who are having paranormal experiences in understanding and dealing with their given situations. He has written several classes, which are part of the intense NJROPE training process, with variations offered to NJROPE clients and the public through lectures intended to increase education and awareness about the subject. 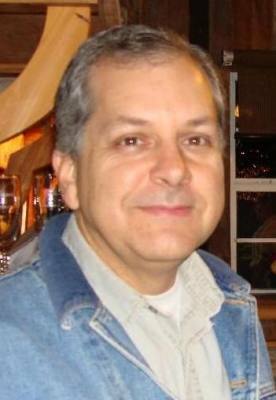 Frank has completed over 300 paranormal investigations and consulted for dozens more. 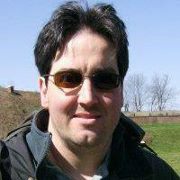 Frank has recently founded and is the owner of the Online store, NJROPE Depot. The store has been created to provide assistance to clients of NJROPE, NJROPE sister groups and the public with building and maintaining a positive environment. The Story Doesn't Have A Beginning…..
….as we experience the middle parts, we see that open doorways let us embrace the illusion of a new beginning……and that helps to make life fun. Over and over again. So open the door and BEGIN! My name is Colin. I sometimes feel the need to BE AMAZING in life. My head and my heart whisper things to me like “you can do anything you put your mind to” and “follow your dreams and never give up.” And when I let my dreams form in my consciousness, they include music and community, family and compassion, Mother Earth and healthy people. I grew up in the east of the United States near the Pennsylvania/Ohio/West Virginia area. I’ve been with music my whole life and even chose to study it in university to further my understanding. I have traveled the world through North and South America, Europe and Asia, always with a guitar on my shoulder or a saxophone slung around my neck. The journey has always been good to me and continues even on this day. The consistent mystery of life tosses me into the wildest experiences. Through those experiences I learn so many cool things that make me more prepared for this NOW MOMENT! What am I doing now? That’s what is important. Well I can tell you this, I am singing in my heart and paying attention to the world around me. I have the responsibility to be amazing with my life. Shining gratitude on all the wonderful blessings shown to me: my inclination toward music, my loving and patient family, my relationships, friends, collaborators, teachers, my girlfriend, my health and happiness and my ability to create and nurture those things every moment, is a practice every day. 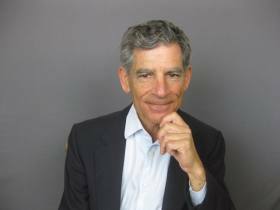 Co-Founder of the non-profit organization Awakenings Institute, he has devoted over two decades to exploring the fields of personal and spiritual development and helping thousands of people through his publications and trainings. His passion in life and greatest joy revolve around helping people to overcome personal challenges, discover their life purpose, and create tremendous success both personally and professionally. Phillip and Jane enjoy living in central coast California with their two dogs. Lance Eberhardt and his family moved to the small rural town of Kearney Missouri 9 years ago and they currently live on a small horse ranch on 15 acres. Lance was attracted to the area because of the rich Western history, as it was the birth & burial site of the outlaw Jesse James as well as many others who lived or passed through the area. He & his wife, along with their 4 daughters thought that escaping the larger cities would be a better & safer place to live. However, that proved not to the case as unexplained things starting happening and escalated to the point of violence; attacking the family from all angles. Seeking help was hard as some didn't believe or were too scared to help. It wasn't until they sought the help from The Dead Files that they finally got control of their home and can finally live somewhat of a normal life. TOURING W/EDGAR WINTER-EMERSON LAKE AND PALMER-PINK FLOYD-ETC. Neil Ratner quit college in the late sixties and traversed the Hollywood celebrity world as a successful road manager for names like Edgar Winters White Trash and tour manager for Emerson Lake and Palmer. He established a full-service production company (a pioneering approach at this stage) to support the artists on tour and worked with T-Rex, Genesis, Pink Floyd and many others. Later in his career he managed the successful songwriter Denise Rich and built Dream Factory studios in NYC. Denise was the wife of Marc Rich, (one of the world’s most successful commodities traders, indicted in the largest case of tax evasion ever brought against an individual in the US at that time) After his successful career in the music industry he decided it was time to follow his heart and pursue his other childhood dream of becoming an MD. Even though not a single American school wanted to take him, he didn’t give up and moved to Mexico to get his medical degree. He made it back into the American system and after many years of residency Neil became an anesthesiologist. Traditionally anesthesiologists worked in hospitals, but Neil had other ideas. He was the first to take the practice of anesthesia out of the hospital and into doctors’ offices in NYC. When Propofol became available in the U.S. in the late 1980 s Neil was one of the first to become expert in its usage as it was a perfect drug for office use. His relationship with the top plastic and reconstructive surgeons in New York allowed him to treat a number of high-profile patients. That is how Neil met Michael Jackson. He became his personal doctor and a close friend. They had a lot in common. Neil accompanied the star from late 1997 until his last performance in 2001. Neil became a trusted friend of Michael's from 1994 to 2002, periodically going on tour and spending time with Michael at Neverland. 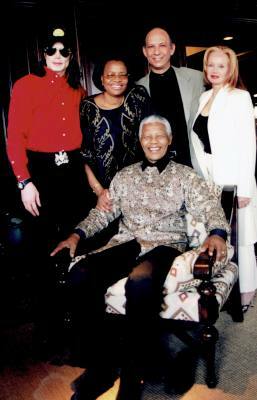 Rock Doc is Neil’s remarkable journey about Rock & Roll and Michael Jackson, Nelson Mandela, a prison sentence with very unexpected results and how helping the poorest of the poor became a key part of his life. ROCK DOC will take you from backstage at a Pink Floyd Dark Side of the Moon concert in the early seventies, where Neil's production company, Circus Talents, Ltd. was providing production services, to the office operating rooms of elite New York surgeons where Neil Ratner MD was Director of Anesthesia. Neil was an aspiring rock n roll drummer but ended up on the other side of the business working as both a tour manager for Emerson, Lake, & Palmer and providing production for the Pink Floyd. After a bad attack of kidney stones and a stint in the hospital, Neil had an epiphany and decided to pursue his childhood dream of becoming a doctor. Taip Beshiri is the Head Soccer Coach at Chicago Fire Juniors Academy in Chicago.